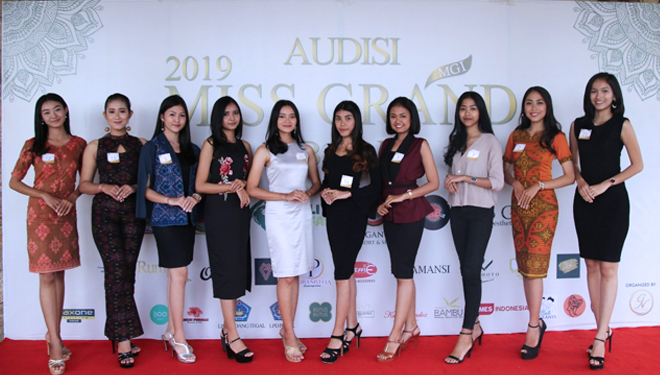 TIMESAUSTRALIA, DENPASAR – The audition to elect the top 10 finalists at the Miss Grand Bali 2019 event were held on Sunday (03/02/2019) at the Masceti Subak Museum. This audition was joined by 22 participants who took the interview test and talent test and will compete to win a ticket representing Bali in the event of Miss Grand Indonesia 2019. 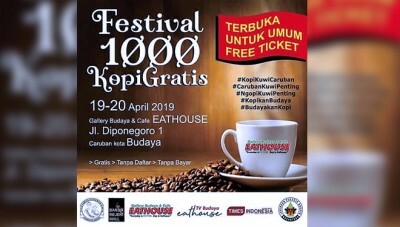 "From the result of interview tests and aptitude tests we selected 10 finalists to participate in quarantine before one participant will be chosen to represent Bali later," said Ni Luh Pebriani Dewi, Regional Director Miss Grand Bali said to TIMES Indonesia. As for its own selection criteria, according to her, carried out with various considerations, Miss Grand Bali emphasized on four criteria, namely 4R, Raga, Rasio, Rasa, Ruh (Body, Ratio, Taste and Spirit). "Not only beautiful, but also intellectual, good personality, caring for humanity," she added. Meanwhile, Chairperson of the Committee of Miss Grand Bali 2019 Wahyu Utarama said after the event that after being declared to be 10 Finalists, the participants will attend the quarantine stage for 4 days, starting from February 22-25 2019 at Puri Gangga Resort Sebatu, Tegalalang. Before entering the quarantine, 10 finalists will undergo a photoshoot session at Puri Blahbatuh, Gianyar and the pre-quarantine process. "We want to really equip these 10 finalists with various abilities, ranging from understanding tourism and culture to the ability of public speaking," he said. The implementation of Miss Grand in Bali itself is the second time since 2018. In 2018 Putu Ayu Sada Devi Pradnyadari was elected to represent Bali in the event of Miss Grand Indonesia.